Sean Penn Caught On Camera Attacking Daughter’s Boyfriend In Public! Recently, Oscar-winning actor Sean Penn was caught by the paparazzi going crazy on his daughter’s boyfriend while in public! What happened between the two men? Penn verbally assaulted musician Jimmy Giannopoulos in front of his wife, Robin Wright. Their tense interaction prompted the woman to burst into tears. According to eyewitnesses, the three enjoyed a quiet dinner at Brooklyn French cafe Le Gamin and then headed out. Penn and Giannopoulos, who dates the couple’s daughter – 26-year-old model and actress Dylan stopped nearby the café. At some point, the actor suddenly and apparently inexplicably crouched in front of his wife and daughter’s boyfriend and exploded with anger. ‘Sean had his cell phone in his hand and held it up to Jimmy’s face to show him the screen. A heated exchange followed, and Sean’s face got redder and redder as he confronted Jimmy with whatever was on the phone,’ one eyewitness recalled. Penn started yelling at Giannopoulos and pointing at him angrily and after quite some time during which Sean Peen was getting angrier and angrier, Robin broke into tears. Sean hugged her and held her hand comfortingly. In the end, the man managed to calm down and the trio was spotted later on that same day by another eyewitness, carrying their luggage somewhere. Sean and Wright were married from 1996 to 2010, and aside from daughter Dylan, they also have a 23-year-old son Hopper. After his divorce, Sean Penn famously dated Charlize Theron. After their divorce, Sean moved on to a high-profile romance with Monster actress Charlize Theron, 41. Despite the nasty display of anger, other sources confirmed that the actor parted ways with his ex-wife and daughter’s boyfriend on good terms. Before going their separate ways, the trio reportedly hugged amicably. What do you think of the very public brawl? 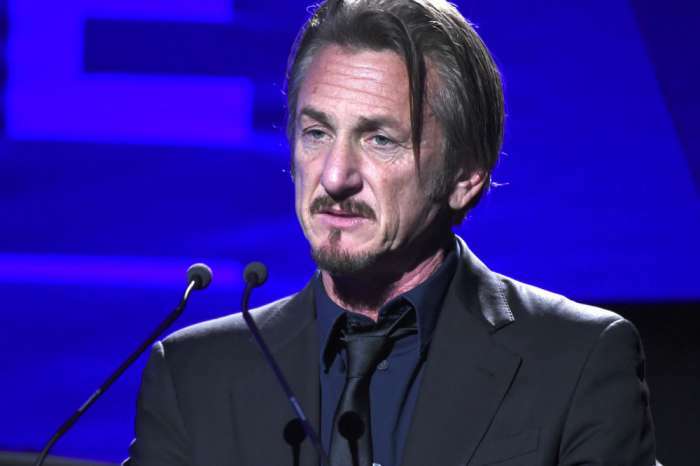 What could have made Sean Penn so angry at Dylan’s boyfriend?